Who decides where my vehicle is to be repaired? 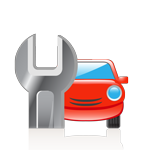 AYOU as the vehicle owner or lessee decide where your vehicle is repaired. Public Act 190 of 2004 states “An automobile insurance policy and an automobile insurer and its employees, agents, and adjusters shall not unreasonably restrict an insured from using a particular person, place, shop or entity for the providing of any automobile repair or automobile glass repair or replacement service or product covered by the policy”. It is important to have your repair facility selected ahead of time. 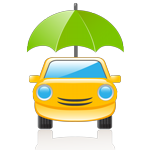 What should I do if my insurance company will not let me take my vehicle where I want to take it? AThe State of Michigan calls this “STEERING,” which is illegal in many States, including Michigan. If an insurance carrier attempts to “steer” you, advise them that in accordance with Public Act 190, you have the right, and are exercising that right, to have your vehicle repaired at the collision repair facility of your choice. If you continue to feel pressure from the insurance carrier, you have the right to file a complaint with the Office of Finance and Insurance Regulation. Simply go to www.asamichigan.com, click the “Consumer” button and then click the “Customer Complaint Form” button. Collision repair facilities work with insurance carriers every day, focusing on making your vehicle safe again. How do I know if I am being “steered”? • We don’t have an arrangement with them. • We cannot guarantee that you might not have to pay more there. • We can’t authorize the repairs there without sending someone out, so it might be at least two or three days before we can inspect it. Remember, repair facilities are the experts in collision repair and they offer warranties to their consumers. How long will it take before you can begin repairing my vehicle if my insurance company is involved? AUnder State Law, once the vehicle owner authorizes the repairs, the collision shop can begin repairing the vehicle. However, when an insurance carrier is involved, the process can be delayed, as they verify damages to the vehicle. The industry standard is that insurance carriers can usually authorize claims within one day. It rarely takes longer than 24 hours.